Refrigerator Capacity: 14.64 cu. ft. 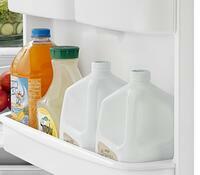 Milk jugs, juice containers and 2-liter bottles fit perfectly in gallon-size storage shelves or adjustable bins. Depth with Door at 90 Degrees: 49.375"
I know it dispenses ice thru the door but I want to know where is the ice maker located? Is it at the door of the freezer or inside the freezer? 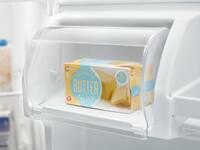 Can you send pictures of open freezer? We apologize for the inconvenience as we do not yet have a picture of the interior of the appliance. 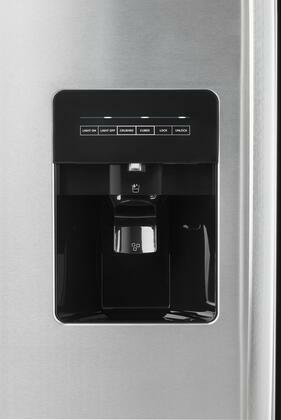 According to the manufacturer, the ice maker is inside the freezer on the top left corner. Having a noisy refrigerator is especially noticeable in our small apartment so I was almost happy when our old one broke. 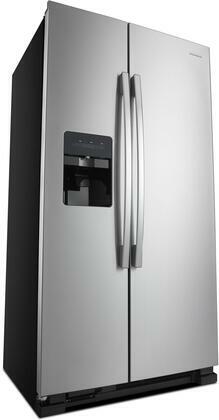 Found a nice looking Amana fridge for a great price and it is effectively silent so I love it! 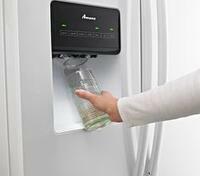 I am in love with the Side-by-Side design of my new Amana refrigerator! We can fit so much on the shelves and even customize them to accommodate more! I love how much thought went into this Side-by-Side Amana refrigerator. 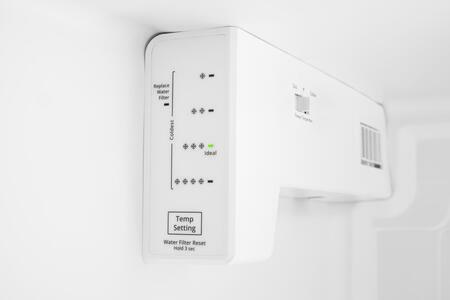 Customizable shelf configurations, quiet motor, and so much space. Living with a noisy refrigerator is a nightmare. 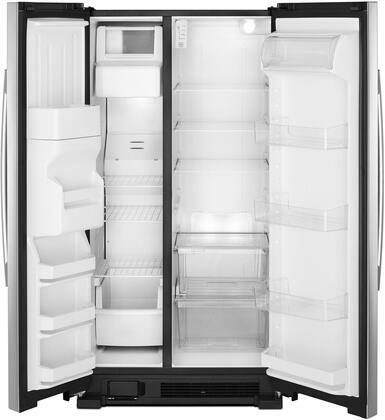 We finally decided to dispose of our old fridge and upgrade to a beautiful Side-by-Side Amana fridge. Above all else, it’s SO quiet. 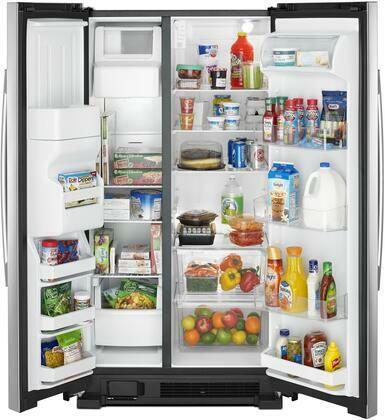 This Amana Side-by-Side refrigerator checked all the boxes when looking for a replacement fridge. 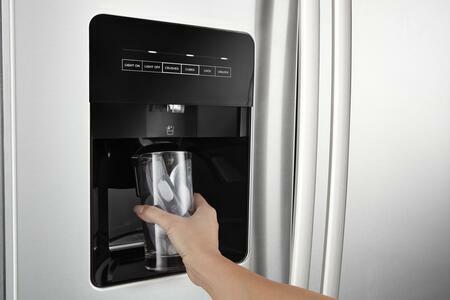 Spacious, stylish, and has a fantastic water dispenser. When my family moved to our new house, we wanted to get a new Side-by-Side fridge. 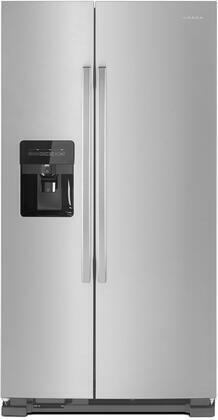 After reading some reviews and information, we decided on this Amana refrigerator. Very pleased with our decision.